Clear all jellies and reach 300000 points to complete the level. 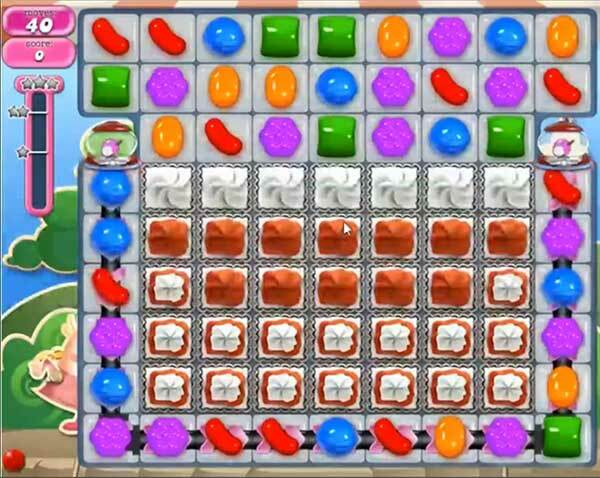 This level has hard difficulty and you need special candies trick to complete this level. For this level you should try to play from bottom and as you will have more candies to play then try to make colorbomb or other special candy. Then make colorbomb with striped candy combo to break more blockers and jellies. Try to break all blockers as soon as possible and then play near to jellies then if you will have luck you can reach this level requirement easily. Never gonna purchase items again, as I do, I run out of lives and then waste all my time waiting to be able to play again…..so mad rightnow!!! !